Born and raised in the Netherlands, Sam Beekwilder never saw being a musician coming. He remembers singing along with Freddie Mercury as a kid and busting out his wide vocal range as a party trick. Sam moved to California when he was 18, and was only making hip-hop beats on his laptop and would freestyle with his friends. When he was 19 he met some producers at a studio in Santa Monica who believed Beekwilder had talent, and the opportunity to work in a real studio convinced Sam to drop out of school and focus on writing, producing and performing music full-time. Now that he takes music more seriously, he’s found a true love for the art of telling stories of love, loss, and discovery, all from his own experiences. As his style develops, his aesthetic refines itself, currently in the form of powerful vocal hooks and lyrically brilliant melodic rap. He taught himself the piano in a couple of months and writes most songs from the piano, although his love for hip-hop makes him prone to switch between songwriting and freestyling. Beekwilder released his first mixtape in March 2018 and released one of his songs called Lava Lamps with Lava/Republic artist Maty Noyes in July 2018, where Beekwilder is the featured artist. Lava Lamps garnered well over 1 million streams since, in less than 6 months. 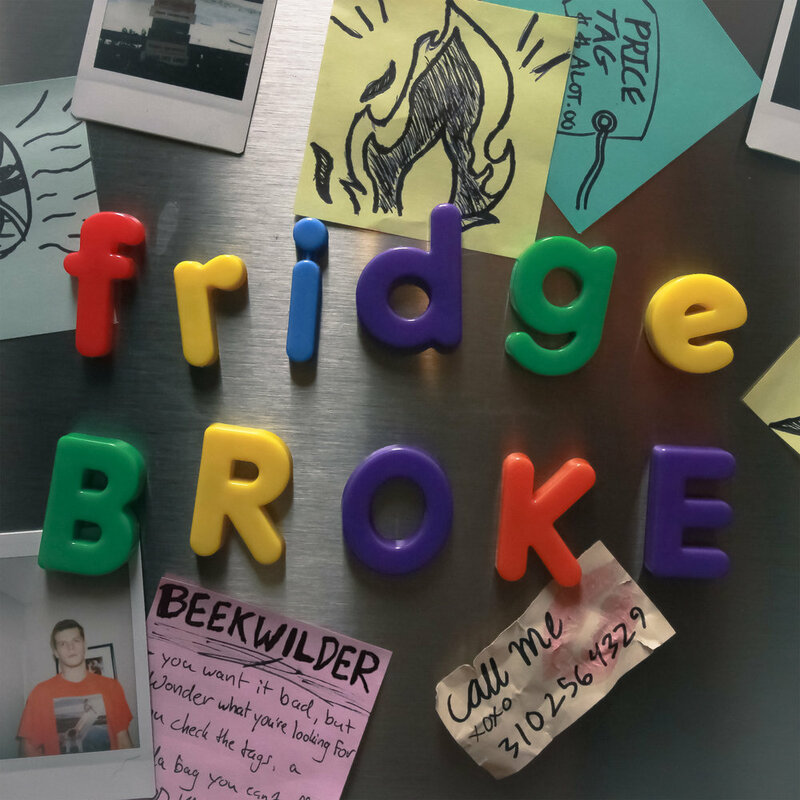 Beekwilder, now 21, is living in Los Angeles and is focusing on his next project, ‘HomeBound’, which Fridge Broke is the first single of.